Available since early 2017 on both PC and PS4, Semispheres has already managed to conquer the heart of a lot of indie game conventions such as PAX West, respectively. A simple yet adorable game, Vivid Helix proves that you don’t need to be an enormous developer to create a great relaxing puzzle title. Before getting into the heart of the matter, Semispheres has a simple story, told by just a key art unlocked after each “act” in the game. The core is mainly a story of friendship between a little boy and his robot. In the end, all the focus in on the gameplay here. So what is the game all about? To put it simply, you will embody an orange sphere with the right joystick, then a blue sphere with the other stick. Your objective, is to solve each puzzle, where you need to systematically bring the orange and blue spheres into the two portals. The goal of the game is very simple as you can see, but what will make it more pleasant is the various gameplay mechanics that will be introduced to renew the experience every time. To be able to reach the two portals with our two spheres, you will have to use most of the objects on the map. For example, you will be able to attract enemy spheres via a noise distractor to allow you to pass around it, or you can even interchange these enemy spheres on the other side of the map, represented in blue or orange depending on where the enemy is. Thus, your spheres will be able to help one another, even while being each in its world or dimension. Other portals will be part of the map, and one of your spheres will be able to place itself below it, and use for example the sound pickup to attract the enemy from the other dimension, allowing the other to escape. There are a lot of small subtleties in the gameplay of Semispheres, and it must be said that the whole is well done, because ultimately we never see the same puzzles repeat themselves. What I can genuinely criticize though in Vivid Helix’s work however, and in spite of their ingenious riddles from the beginning to the end of the game, are simply how the two spheres are controlled. Some puzzles will ask you to progress simultaneously your two spheres at the same time, each in their respective dimension, which can be insanely difficult. The other weakness of the game is the fact that it’s rather short. Split into thirteen acts, these series of puzzles will take you roughly 2-3 hours to finish, which could be considered alright for some, considering it’s only priced at $9.99. On the front of the graphical aspect of Semipheres, it is obvious that Vivid Helix had a simple budget to make the game, because the title is minimalist. The game still runs under Unity’s graphics engine, and while everything remains clean, the puzzle designs are in itself rather remarkable. In fact, my only issue is an overuse of the same minimal and repetitive backgrounds. Of course, Semisphere is not ugly, but there’s not much to give a real opinion with this kind of graphic style. Finally, comes the sound design, which is probably one of the best traits of Semispheres. The music, while initially discreet, remains of great quality. Most of the themes are relaxing and soothing, with great melodies created by Siddhartha Barnhoorn. 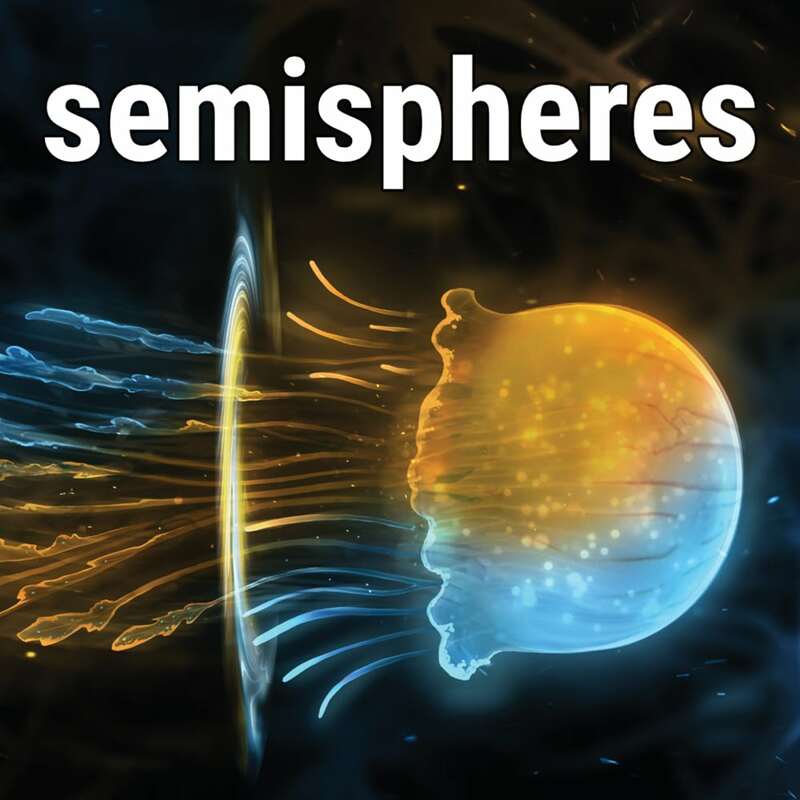 Semispheres was reviewed using an Nintendo Switch downloadable code of the game provided by Vivid Helix. The game is also available on PlayStation 4 and PC in online store releases, and an upcoming release is planned for Xbox One in Q4 2017. We don’t discuss review scores with publishers or developers prior to the review being published. For an independent production, Semispheres is a pretty good surprise from Vivid Helix. The whole dual control concept and ingenious puzzles will give you an entertaining but sadly short experience on the Nintendo Switch.